Impact Moling is ideal for installing small diameter pipes and ducts over short distances. 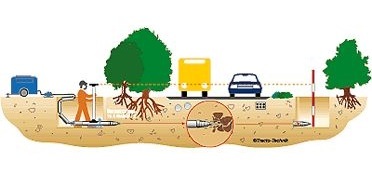 Dorset Drainage operates moles to install services such as Water, Electric, Telecommunications and ducts in lengths up to 25 metres. 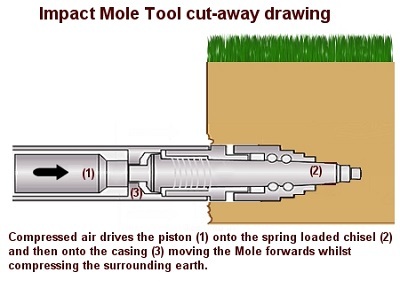 Impact moling is a technique in which a non-steered percussive hammer is used to displace the soil and form a bore. The new pipe, cable or conduit is then either drawn in behind the mole as it progresses or pulled back into the bore after the mole arrives at the exit position.